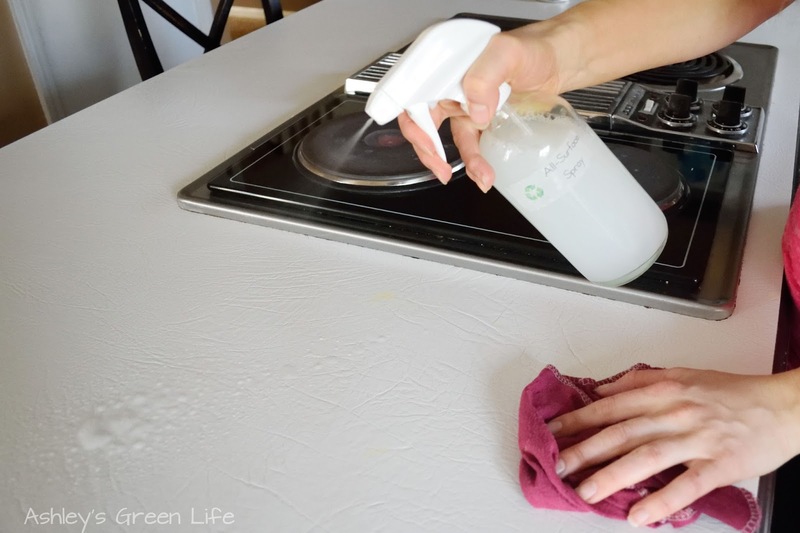 One of the easiest ways to take steps towards living a greener life is to swap out the products to use to clean your home from traditional, toxic cleaners to greener, healthier ones. 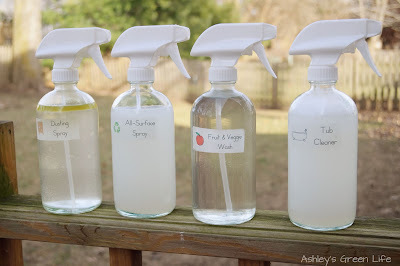 Today I'm going to share my top four favorite homemade green cleaners. The ones that I make to help me go a little greener, and keep my home clean for myself and my family, and not to mention, save some money. 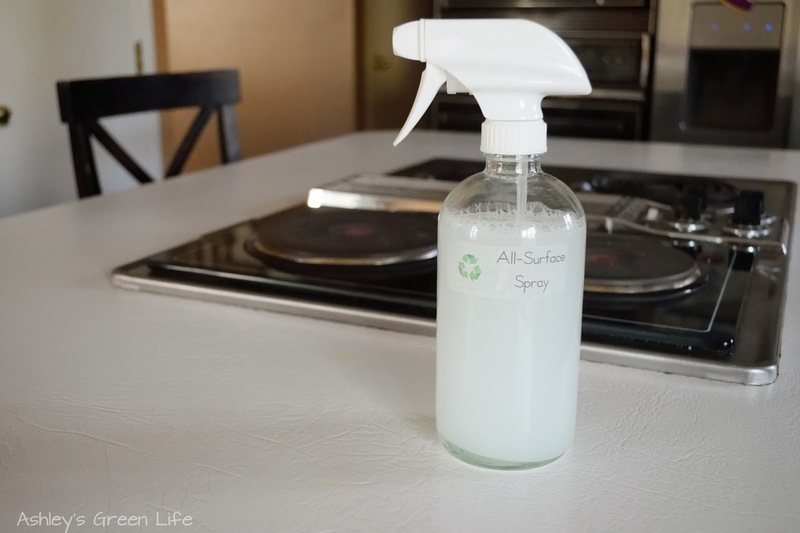 Back when I was pregnant with Avery I was pretty gung-ho about making my home as clean and green as possible and after reading Clean House, Clean Planet by Karen Logan, I was fired up about making all my own green cleaners. If there was a recipe for it, I was going to make it. From window cleaner, to toilet cleaners, I had a bottle for everything. 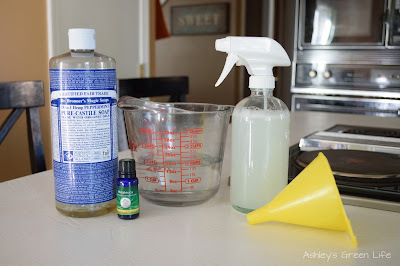 My kitchen often looked like a science lab as I tinkered and experimented with various homemade cleaner recipes. You can read more here in my first, "green cleaner" post from back in 2011. But once Avery was born, real life hit and what free time I used to have was now busy taking care of a baby, keeping our house in order, and working my full time teaching job. That's when I realized I might have to actually buy a green cleaner from the store...gasp! 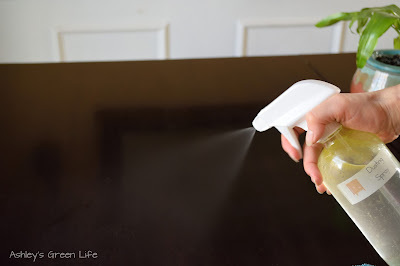 At first I felt ashamed, I could I (green blogger Ashley) buy a store-bought green cleaner?! But then I snapped myself out of it and said, "Because you don't have any time to make your own green cleaners for everything right now!" And on top of that, I later discovered that sometimes the store-bought brands turn out way better than my homemade recipes...imagine that! 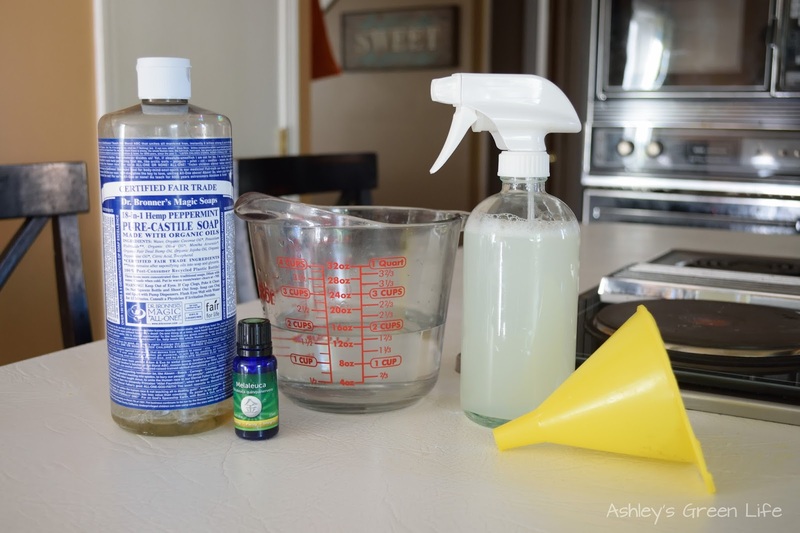 Nonetheless, I still have a special place in my heart for homemade green cleaners, and that's why I've left a few that I love and don't mind making, even when my life gets busy because they work so well for me. And those are the recipes I'm going to share with your today. 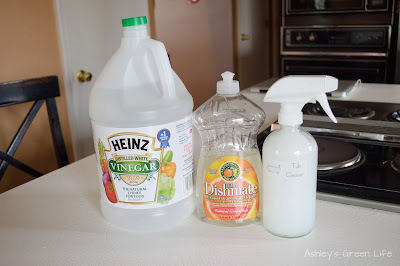 Be sure to stay tuned for my post next week where I'll be sharing "My Favorite Store-Bought Green Cleaners". Also, in case you're wondering, here are my favorite glass spray bottles that I use for all my homemade green cleaners: by Sally's Organics for $12 each on Amazon. This recipe comes from Clean House, Clean Planet (called "Merlin's Magic") I absolutely love this spray and I use it just about daily on my kitchen counters. It has such a great clean, fresh smell (from the Tea Tree Oil mainly) and because of the antiseptic properties of the tea tree oil, I know I'm getting it clean! 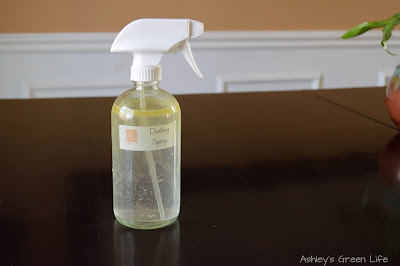 I just use a cloth napkin when cleaning with this spray. No need to take 2 steps forward with this green cleaner and 5 steps back by using paper towels! 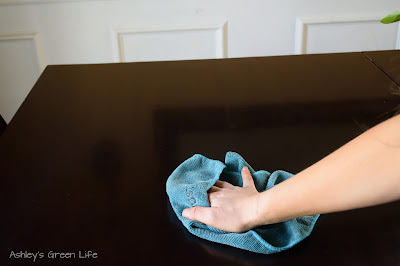 Use a cloth napkin or towel and throw it in the laundry after your done so it's ready to go for next time. Directions: Fill a 16 oz. spray bottle nearly to the top with water. 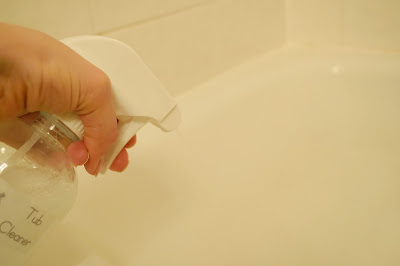 Add 3 Tablespoons of Dr. Bronner’s castile soap and 20-30 drops of tea tree oil (or 1/2 tsp.). Shake it well and spray it on bathroom or kitchen surfaces, floors. Wipe off with a damp cloth. This recipe also comes from Clean House, Clean Planet (called "Dust to Dust Furniture Polish"). I like to use this one to keep all the dust off my dark wood furniture. I can always tell how long I've put off cleaning by how dusty my entertainment center and bedroom dresser are and luckily this spray then comes to the rescue. The vinegar cleans, while the olive oil conditions. No need for Pledge anymore! 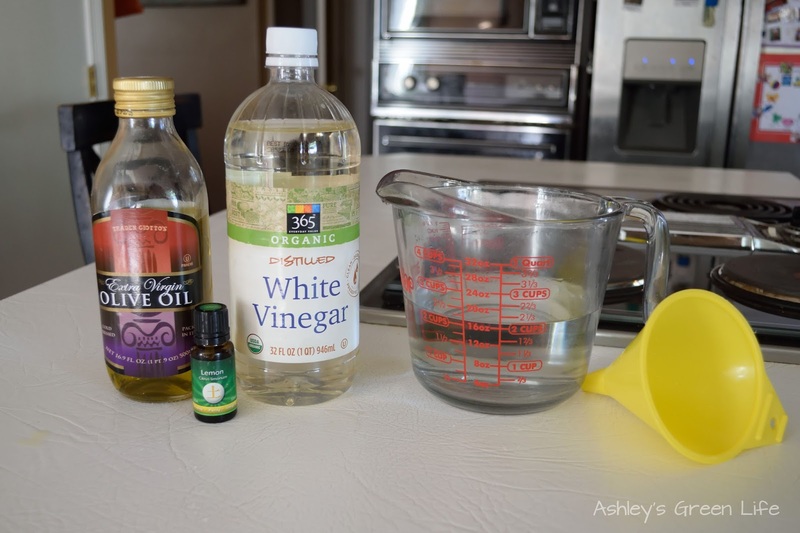 Mix 20 drops of essential oil, olive oil, and vinegar with hot water in bottle. Gently shake mixture. Now you're ready to dust! I always make sure to shake this bottle a bit each time before I use it so the oil mixes back up with the water. Have fun dusting and polishing! Then follow up with a micro-fiber towel to catch the dust. 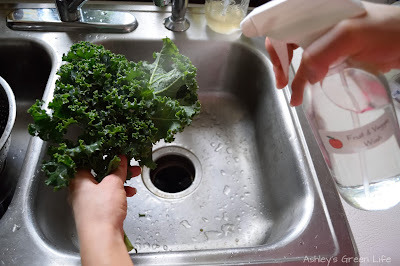 Buying organic produce is important to me, but it's not a full-ride pass to skip cleaning my produce. 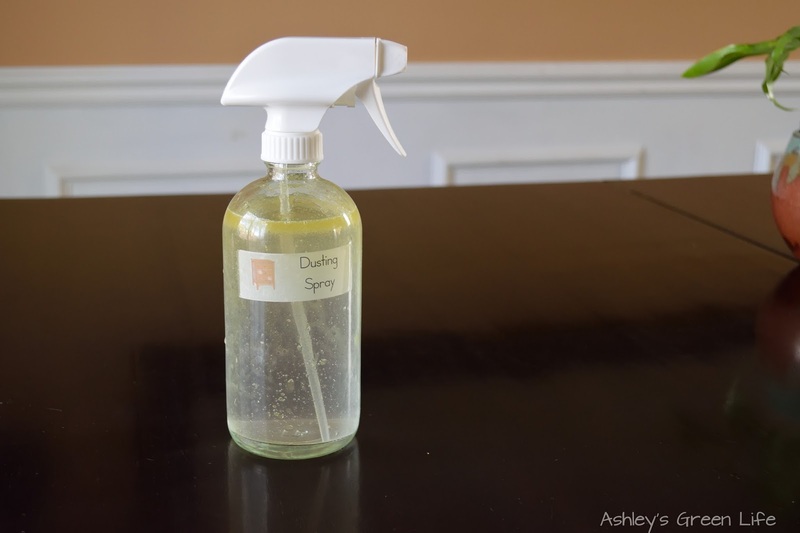 It didn't take me long to get tired of buying the pre-made produce sprays at the store to want to make my own and with this simple recipe I'll never have to buy them again. The vinegar takes all the credit in this cleaning recipe. 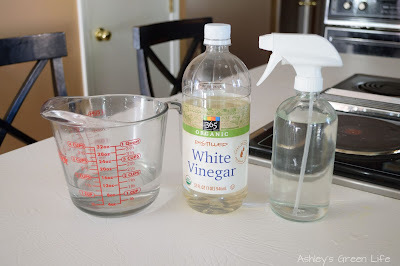 Directions: Pour the vinegar and water into the spray bottle and shake up. Add a few drops of essential oils (lemon, orange, etc.) if you do not like the vinegar smell. I used to not like it, but now I don't even notice it! 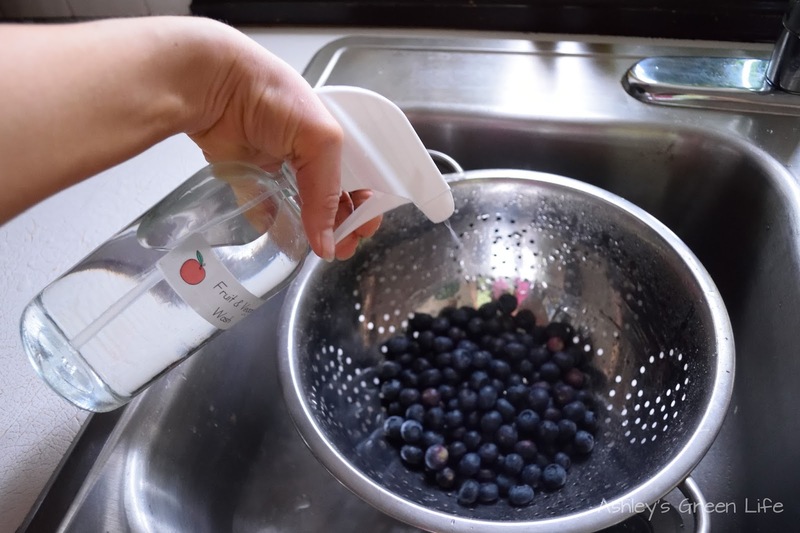 Now just spray this on your fruits and veggies to get them nice and clean, without breaking the bank! I usually just spray it on my fruits or veggies and then rinse them clean with the water. on them for a few minutes for a deeper clean if you like. 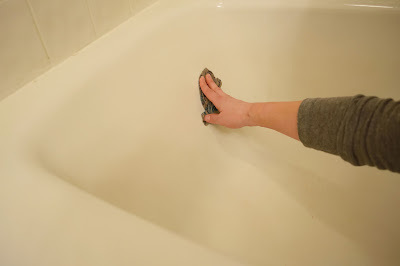 I'm not a fan of cleaning tubs, mainly because all the cleaners I've tried in the past require so much work to scrub and clean that it seems like it takes forever and you can hardly tell a difference. So when I came across the recipe online to combine Dawn dish soap with vinegar, in equal parts as a tub spray I was intrigued. 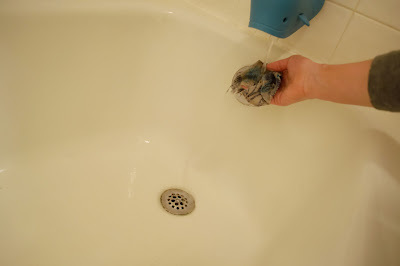 But I swapped Dawn out for a greener dish soap and the recipe still works great. It's a simple, spray...wait...and wipe. Much better than hours of scrubbing. Measure in 1 cup of vinegar, followed by 1 cup of dish soap. Gently shake mixture. Now you're ready to start cleaning. wait 30-60 minutes for the mixture to soak in and do it's thing. 2. I usually check around 30 minutes later and see how easily it comes off. it should remove the residue or dirt that was previously there. 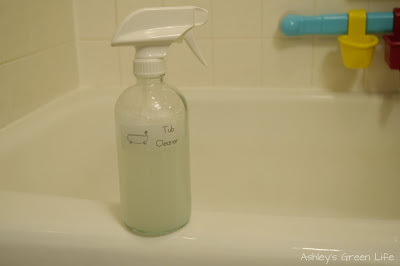 around your tub, it should be nice in clean in a fraction of the time! 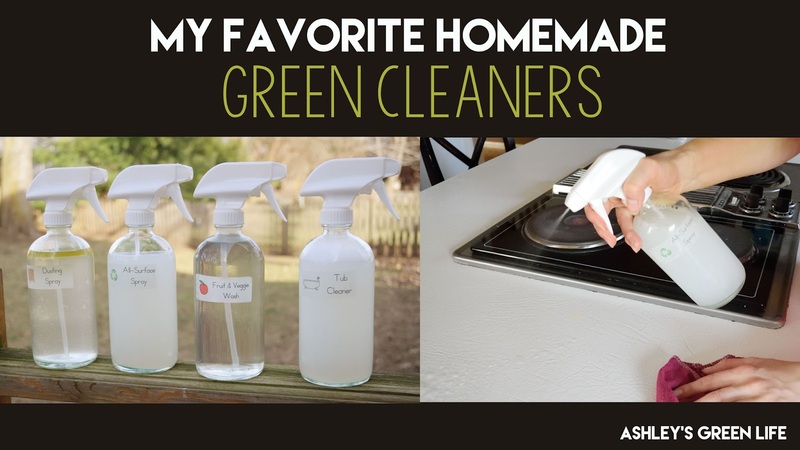 So there you have it my favorite homemade green cleaners! Do you make your own homemade green cleaners? Share your favorites below. And stay tuned next week for the list of my "Favorite Store-Bought Green Cleaners". Until then, happy (green) cleaning!